Many people now refuse to use animal products and choose a vegan way of life. For us guitarists it was usually only possible to get leather straps. Due to the Vegan RightOn! Straps this has now changed. 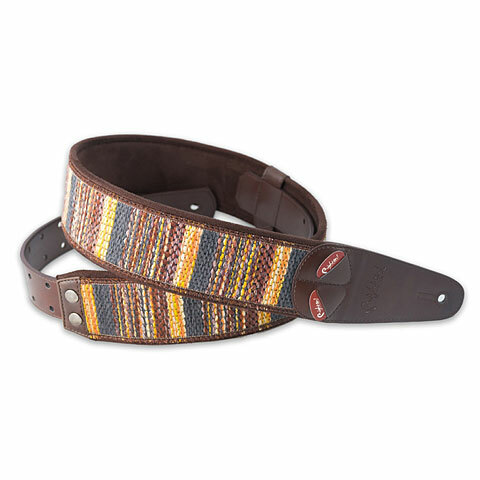 The Mojo belts are made exclusively from synthetic HighTech materials that are in harmony with nature. This guitar strap for guitar/bass is 6 cm wide. And has a length of 95-143 cm. 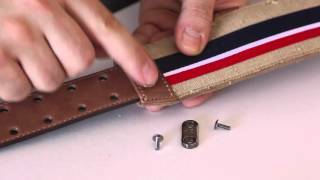 With the exclusive RAS (Righton Adjustment System), the desired length of the belt can be easily adjusted. The surface of the boxeo strap is made of fabric, and the front pockets are synthetic. It is padded with 5 mm latex which makes it very light and comfortable. On the front, the belt has two small pockets for a few picks. The materials have been extensively tested for their durability, so a longevity can be ensured. The Spanish manufacturer RightOn! Straps has done without any animal products in its Mojo Collection that means all straps are 100% Vegan! · Show all articles of the brand RightOn! Straps.